With visits to four Cuban ports of call, three of which are overnight stays in Havana, Santiago de Cuba and Cienfuegos, plus a maiden call to Isla de la Juventud, this new voyage aboard Seven Seas Voyager® quickly sold out. “Luxury travelers are demanding to experience Cuba in a deeper, more meaningful and culturally-relevant way,” said Jason Montague, Regent Seven Seas Cruises’ president and chief executive officer. Situated on the southern coast of Cuba, Cienfuegos is an endearing, historical and glamorous destination featuring Spanish colonial buildings with a dash of French grace, among the many reasons why its city center was inscribed as a UNESCO’s World Heritage Site. Guests can stroll along long stretches of oceanfront promenades and mingle with locals under the palm trees swaying in the warm breeze. 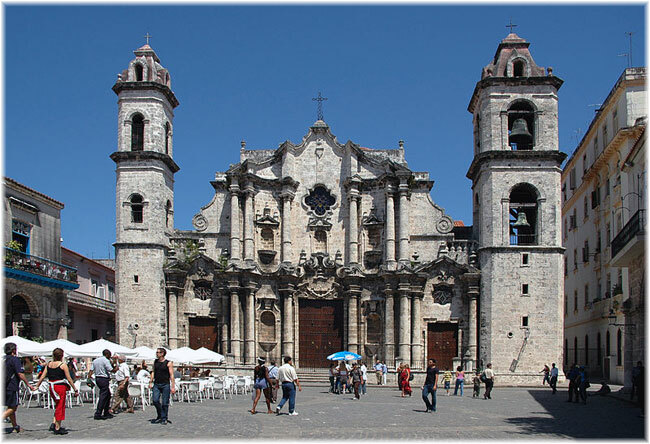 In addition to a tour of the Anastasio Cardenas tobacco factory and other Regent OFAC-compliant tours, travelers will also have the opportunity to tour the colonial downtown, viewing architectural treasures such as the Arch of Triumph and Casa del Fundador, as well as the grand Tomás Terry Theatre overlooking Jose Martí Park, a tranquil urban setting named for the Cuban national hero. The 10-night Cuban Exploration voyage in October 2019 aboard Seven Seas Mariner to the Caribbean country is roundtrip from Miami. All-inclusive fares start at $5,499 per person, which include roundtrip airfare, transfers, unlimited shore excursions, WiFi, fine wines and spirits, and a host of other amenities.